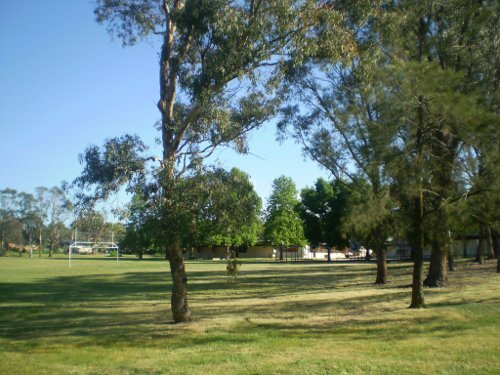 The ACT Government has shown it is unwilling to meet its own guidelines in calling in the development application (DA) for Flynn Primary School, according to John Flynn Community Group spokesperson Shirley Pipitone. “We don’t believe it is lawful for a DA to be called in for such a small refurbishment—it certainly doesn’t affect the strategic direction of the Territory Plan,“ said Ms Pipitone. The group’s submission to the DA identified some modest but important issues, such as the need for works to comply with the ACT Heritage Guidelines. “There was no objection to the childcare in itself. 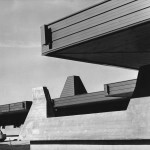 We had asked to change the shape of a new window, avoid damaging the poured concrete walls, and lower the height of a new section of roof,” said Ms Pipitone. “We also asked for the construction schedule for two parking lots to be reversed and some trees to be planted in different places, but we really didn’t think that would be such a problem,” she said. “The whole thing could easily have been resolved simply by sitting down and talking to us—the government has called in a DA over objections that could be addressed with very little effort,” said Ms Pipitone. Ms Pipitone said that calling in a DA in response to objections like that shows the government is unwilling to comply with its own heritage guidelines. “We also have to ask if it isn’t DHCS officers, who are currently under investigation, making questionable recommendations to the Minister in an attempt to divert attention from their actions,” she said. “We have been trying for a meeting with Ms Gallagher to follow-up on agreements with Jon Stanhope and explain some of the issues from the community’s perspective, but she has refused,” said Ms Pipitone. This decision is effectively claiming that a proposal relating to the accommodation needs of an existing childcare centre—with very few new childcare places—is now a ‘substantial’ public benefit of the same scale as the strategic direction of the Territory Plan or a major ACT Government policy issue. 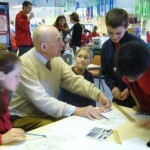 The appeal for listing of the Flynn school on the ACT Heritage Register will continue in the ACT Supreme Court. 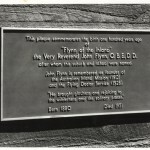 The listing has the support of two Flynn community groups, the National Trust, the Royal Australian Institute of Architects, architects from the University of Canberra, the Royal Flying Doctor Service, the Presbyterian Church, and almost 700 Flynn residents.